As I shared last month, I’ve really enjoyed the past year of blogging. One of the pleasant surprises has been finding a community online of other (mostly female) bloggers. Even though most of them are in the same town as me, I haven’t had much opportunity to meet anyone in real life. So tonight has been an extra treat, to meet some online friends in person, and to preview the opening of a new See’s Candy! Here I am meeting “Mama Maggie” of In Mama Maggie’s Kitchen, a super sweet food blogger and recipe developer who posts some amazing looking food. 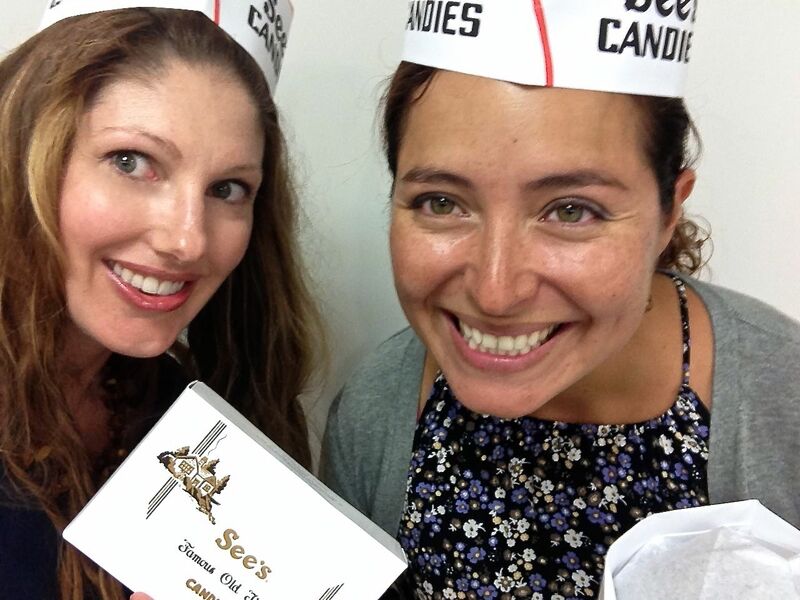 See’s Candy just opened a new location at Fashion Valley in San Diego. Tomorrow (Friday) is their grand opening. Tonight they had a special preview night for local bloggers. 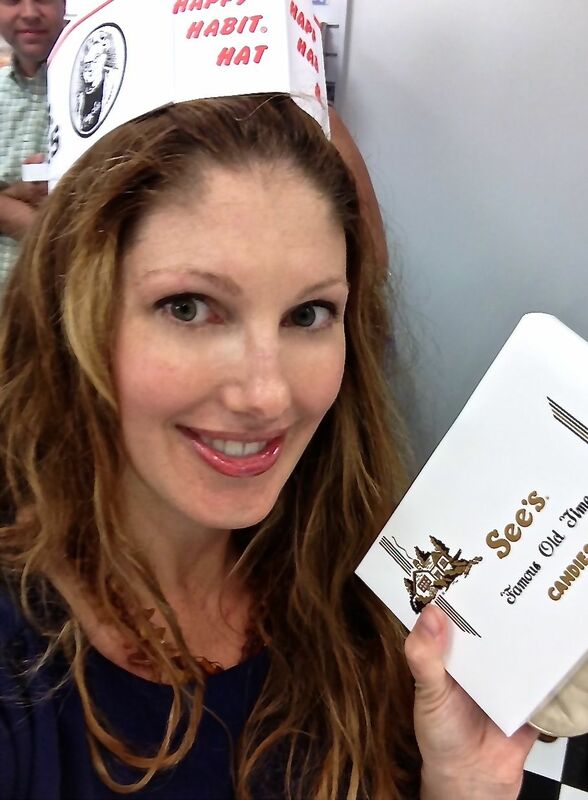 See’s is known for passing out yummy free samples (they give away one BILLION, with a “B”, pounds of chocolate each year) and tonight was no exception. Another piece of trivia I learned: the classic “Lucy in the Chocolate Factory” scene was filmed in See’s chocolate factory in San Francisco. Tonight, See’s challenged us bloggers to another Lucy moment in a contest to see who could pack a box of chocolates the fastest. They invited us behind the counter to race in heats. It was harder than it looked to get each truffle in the little paper cup! I may not have had the fastest time, but I got to take home my box. Winning! If you are in San Diego, check out the grand opening at Fashion Valley tomorrow. They have a lot of fun activities and giveaways planned. And for everyone, everywhere, check out this round up of my favorite chocolate recipes! Wish you could’ve been there, Charlotte! Great meeting you – albeit briefly! It was nice to have chocolates passes around and get to go behind the “counter” haha! You too, Joann! I wished I could’ve talked more, but I know you were managing a small kid in a candy shop! It was nice meeting you and your sister, too, Kari!